Literature and Latte's newest application for OS X is called Scapple, and it's now available for download. It's a really helpful utility for visually-oriented users who want to get some ideas down but might feel hampered by traditional outlining tools and text editors that enforce some sort of linear structure. 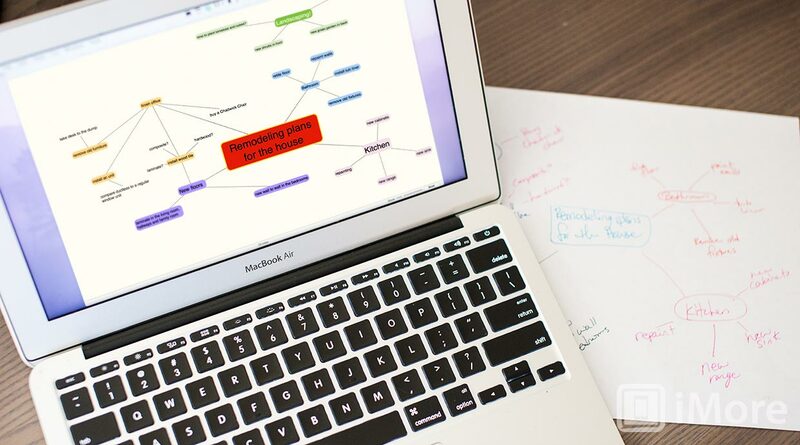 Scapple is lets you jot down ideas on an ever-expanding virtual paper, then examine the ideas' relationships to one another and organize them. Mind mapping software does this, but Scapple's developers are quick to distance their app from that bunch. Scapple, they say, is more of a "freeform text editor" that works in a very non-linear fashion. Getting started with Scapple is easy - just double-click and start typing. A two-page QuickStart Guide PDF is available from the Help menu to give you an overview of Scapple's functions - I heartily recommend checking it out first. An inspector window gives you control over text attributes including alignment, typeface, size and style, fill colors and borders. Once you have some ideas down and you'd like to relate them to one another, you simply drag and drop them onto one another to establish a link. Scapple will, by default, use a dashed line, but if you want to specify arrows instead, you can. You can "stack" notes neatly on top of one another, and create background images to group collections of thoughts or ideas. As your document gets more complex, Scapple zooms out, so you never run off the edge of the "paper." Text isn't all that Scapple does, however. You can drag in images, mathematical formulae, even entire documents, which Scapple will attempt to import. Exporting is simple, too - you can export your document including PDF, PNG, OPML and a variety of text formats. Literature and Latte's previous effort, Scrivener is a favorite of tool of many writers I know. It's especially well suited to the development of long-form content: research papers, novels and short stories, or feature article for blogs or magazines. The developers really understand the creative process of writing - collecting research, developing ideas, and assembling a structure that works. Scapple is a natural extension of the philosophy behind Scrivener, and it complements Scrivener excellently. But it's really useful and handy on its own, as well. If you're looking for something that can act as a virtual whiteboard for all your ideas, make sure to check out Scapple. A trial version is available from the developer's web site, and if you buy the version available from the Mac App Store, you'll be able to synchronize documents in iCloud.